Water lovers can enjoy a decadent seafood meal that’s complemented with a stunning view of the ocean with a visit to Oak Island’s Island Way. 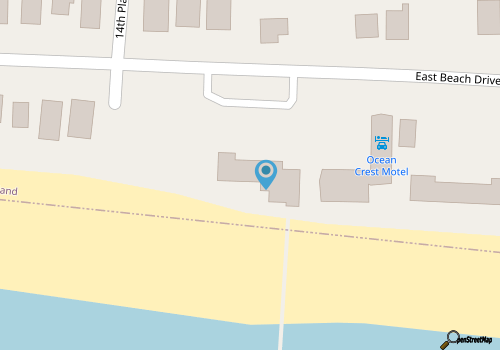 Located along Beach Road and bordering a quiet stretch of sand that’s home to small motels and vacation rentals, this restaurant boasts all the coastal staples that combine perfectly with a stunning ocean vista. The views are arguably the biggest lure for vacationing diners, but patrons will find a lot to love on the menu, which features a host of garden salads, soups, and dishes for ocean and land lovers, as well as a separate kids’ menu. For something beachy, opt for the Carolina Crab Cake, the oysters or the Tiger Shrimp, or the Grouper Neptune which features a grouper filet that’s topped with shrimp, crab meat, and Béarnaise sauce, and is served over asparagus. Meat eaters will also find a nice selection of steaks, including filet mignon, Barrel Center Cut Sirloin, and an eight ounce flank steak, and pasta fans can stuff themselves on plates of three cheese or lobster ravioli, chicken Alfredo, or Blackened Shrimp Alfredo. With enough diversity to please everyone in the party, Island Way is a great destination for a good meal and an exceptional oceanfront view.